We are offering series of yoga classes in partnership with our friend and expert yoga instructor, Rosalie Battah. This series of yoga classes offered at Cascade Bicycle Studio is designed specifically for cyclists! Classes will focus in freeing up the hamstrings, quads and hips, strengthening core and opening upper body. Using breath techniques to build breath capacity, oxygenating muscles and organs to increase performance, flexibility and strength. Space is limited so advanced sign up is advised. Sign up online at https://www.webscorer.com/rosaliebattah-yoga18 each week. Walk-ups will be welcome space available. Email questions about the series of classes to Rose. Rosalie Battah is a certified Forrest Yoga instructor and Reiki master specializing in modifications for specific needs offering each student a unique experience. More information about Rose can be found by visiting https://www.rosaliebattah.com. 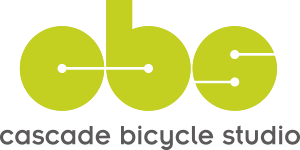 Cascade Bicycle Studio is an independent bicycle retailer located in the Fremont neighborhood of Seattle, WA. © 2019 Cascade Bicycle Studio.